Real estate investment firm Crown Equity is marketing a fully-leased retail property in West Hollywood, The Real Deal has learned. 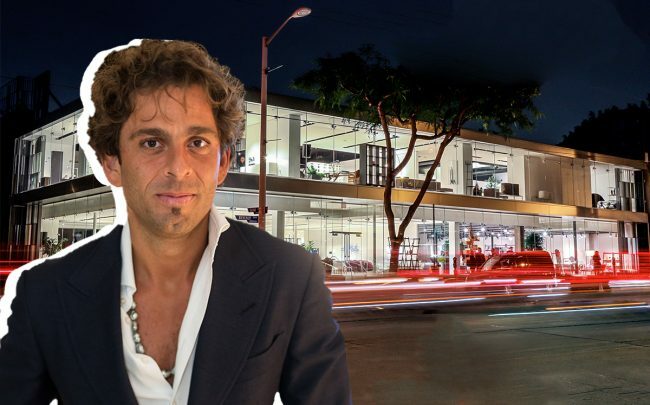 The property at 8840 Beverly Boulevard is being listed in the range of $40 million or higher, broker Bob Safai of Madison Partners said. That would work out to at least $1,880 per square foot. The 21,260-square-foot building was recently renovated building. Design store Luminaire inked a 10-year lease for the entire space last August. It marked the first location on the West Coast for the Miami-based company, which also has a location in Chicago. Michael Shabani runs Crown. Shabani, acting through an LLC, paid $20.8 million to acquire the site in March 2016, property records show. The listing comes nearly six months after Crown spent $96 million, or roughly $8,240 per square foot, to acquire two storefronts on Rodeo Drive. The deal — which included an 11,625-square-foot property leased to fashion houses Brioni and Alexander McQueen — ranks among the highest trades on a per square foot basis in the Beverly Hills area. Retail investment in West Hollywood has been on the upswing. Last week, Safco Capital Corp. closed a deal to acquire a 1.3-acre site, occupied by a Gelson’s Market, for $25 million. As part of the deal, Safco agreed to lease back to Gelson’s the 17,830-square-foot store at 8330 Santa Monica Boulevard.